It is during those times when life does not seem to be working out, feeling as if life could have been different, failing to see our impact on others, wishing we had not even been born, that we need to realize that it truly is a wonderful life. It's hard to see this throughout the entire year, as we deal with the ups and downs of life regardless of the calendar. It doesn't have to be just at Christmas time, as in the climactic scene in the classic movie It's a Wonderful Life when George Bailey, played by the one and only James "Jimmy" Stewart, found himself in a situation that seemed impossible. 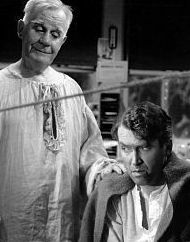 George was contemplating ending his life, wishing he had never been born, failing to realize that his life had impacted so many in positive ways until he was shown by an unlikely source, Clarence Odbody (Angel, Second Class) played by Henry Travers, that if he had not been born, the people of Bedford Falls would not have had such a wonderful life. Through it all, the movie projects that God had a purpose for George Bailey and was working through him to help others in ways that would not have materialized if George had not been born. The Bailey house had a merry Christmas that year because God answered the prayers of people who loved George, and He sent a messenger to show George his worth just in time. It's a Wonderful Life is a great movie recognized by the American Film Institute as one of the 100 best American films ever made. In our house, my family and I have traditionally watched the movie on Christmas Eve, although it is a good movie to be watched any time of the year. Because of our tradition, when I think of characters of Christmas, George Bailey is one who pops into my mind. I wrote the book, The Characters of Christmas: God at Work in our Lives, to encourage people to realize that God is always working in our lives, even if we cannot see it or feel it. The book is not about fictitious characters from a movie, like George Bailey, and it's not just another Christmas book or a book to be read at Christmas time. In the book, I take the real-life characters of the Bible at the birth of Jesus and show how God worked in their lives while making it relevant to each reader by showing how God is working in his or her life, no matter what he or she is going through. It will speak to you during any season of the year and regardless of the season of life that you currently find yourself in. 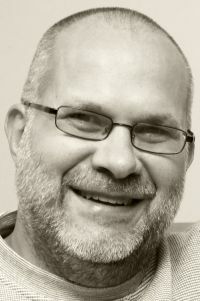 I pray that, like Clarence Odbody, God will use the book as a messenger to show readers and those they recommend or give it to, that God is truly at work in their lives. With some, it will be just in time. Please know today that you have value; you are favored by God. He allowed you to be born for a purpose. He is working in your life. 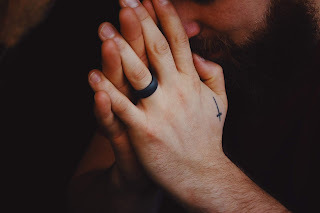 He is working in your seemingly impossible situation. As you realize this, you will realize that this truly is a wonderful life.